As promised, here's the mockup of the White Librarian quilt. 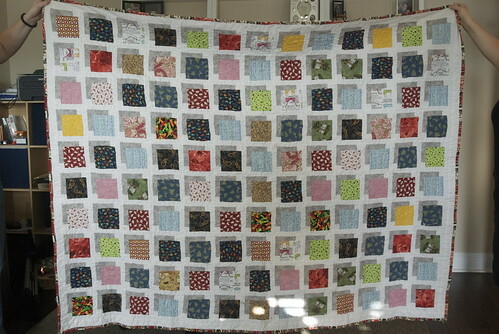 It, too, is intended to be a pretty easy little quilt. 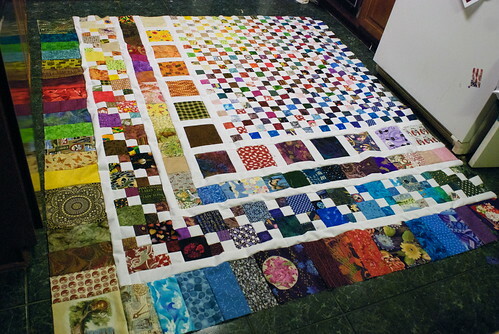 I'm including a shot of the original quilt for reference. The pattern is called "Bricks and Stones," from redpepperquilts, and is available for sale on etsy. I bought the pattern even though I knew it was for a lap-sized quilt; some knowledge of multiplication tables and Adobe Illustrator would fix the rest of the problem. I tried to stay pretty true to the pattern, because I really like it.